One thing I love about Fashion is the fact that it’s always changing. Everything that we think has gone out of style will someday turn up again. This season we are seeing a lot of 70’s inspiration. 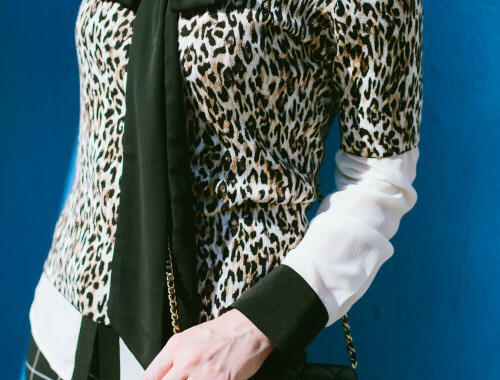 While this may not be my typical everyday style, I love to have fun with new trends and change it up now and then. 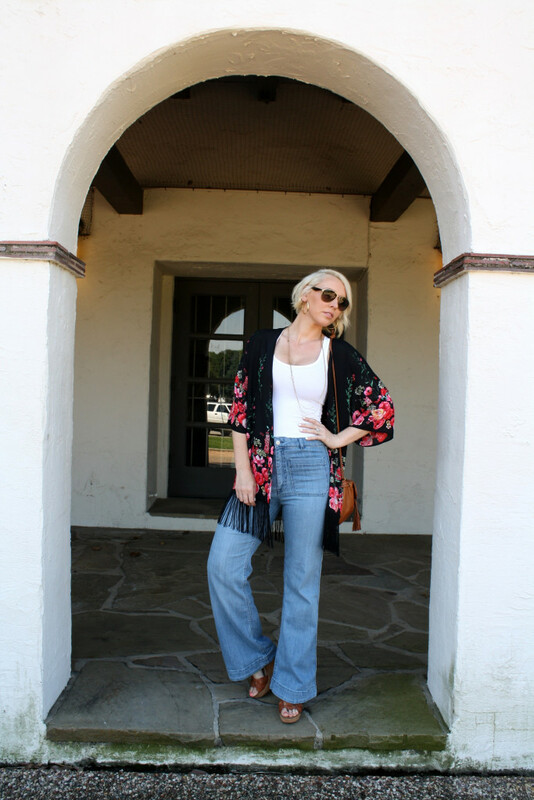 We have been in “skinny” mode for a while when it comes to denim, but one of the trends we’re seeing make a comeback is flares. The jeans I’m wearing are a high waisted flare from H&M. Although I’m enjoying this trend, I will say that flared jeans are a bit more difficult to wear. Whether you’re 5’0″ or 5’10”, in order to make your legs look longer in a flared jean you need to add some height either with a wedge or a pointed toe pump. 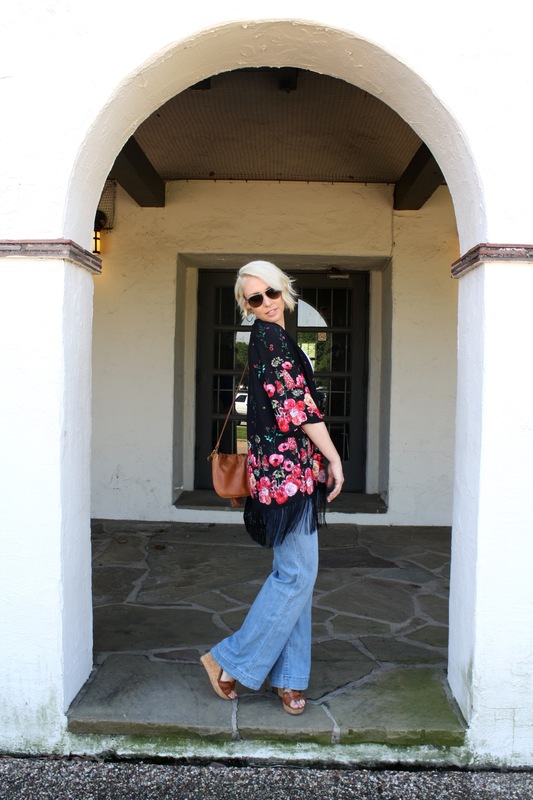 Fringed Kimono’s are everywhere right now. The one I’m wearing is from H&M, but you can also find them at Forever 21, Asos, and Guess just to name a few. These kimono’s are cute with jeans, denim shorts, or you can even use them as a swimsuit cover. I bought these Guess wedges from DSW years ago, and I’m still amazed at how well they’ve held up. A tan wedge is a Summer necessity. You can wear them with pants, shorts, dresses, and skirts. I have linked a similar pair here. A long layered metallic necklace is an essential accessory in every woman’s wardrobe. It goes with everything so you don’t have to stress out about what to wear it with. 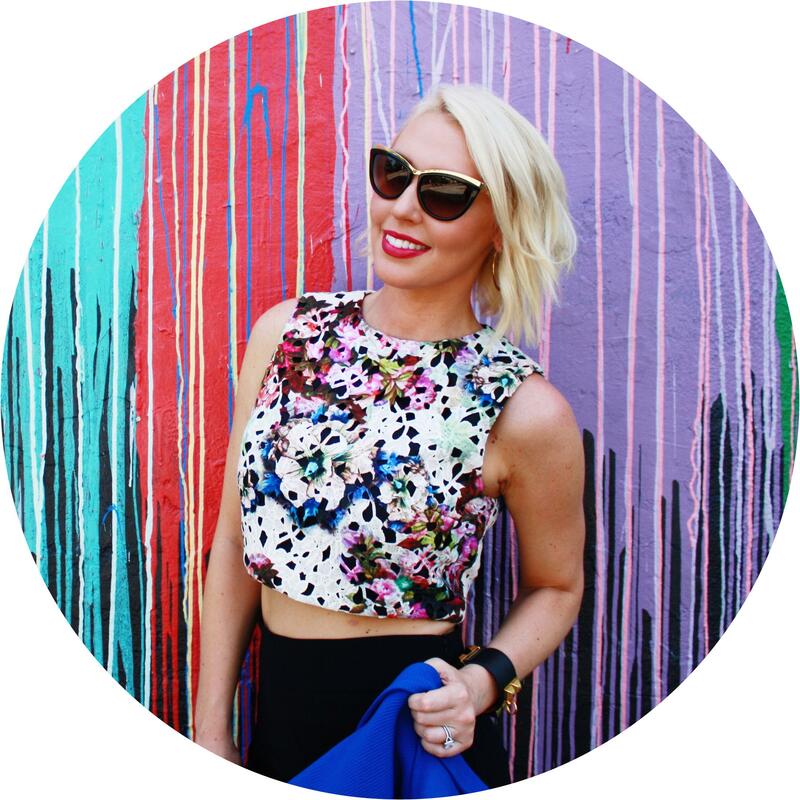 The necklace I’m wearing is vintage Stella and Dot, but i’ve linked their newest version for you here. Hi! My Name is Natalie, and I'm a Fashion Stylist in Houston, TX. Nat King Couture is a fashion blog focused on Fashion Tips and Styling Advice.